We do television rental in Hong Kong for conferences, meeting, exhibitions and other functions. Our television rental inventory includes LCD and LED TVs, Touchscreen TVs, 43” TVs, 50” TVs, 55” TVs, 60” TVs, 65” TVs and 80” TVs. 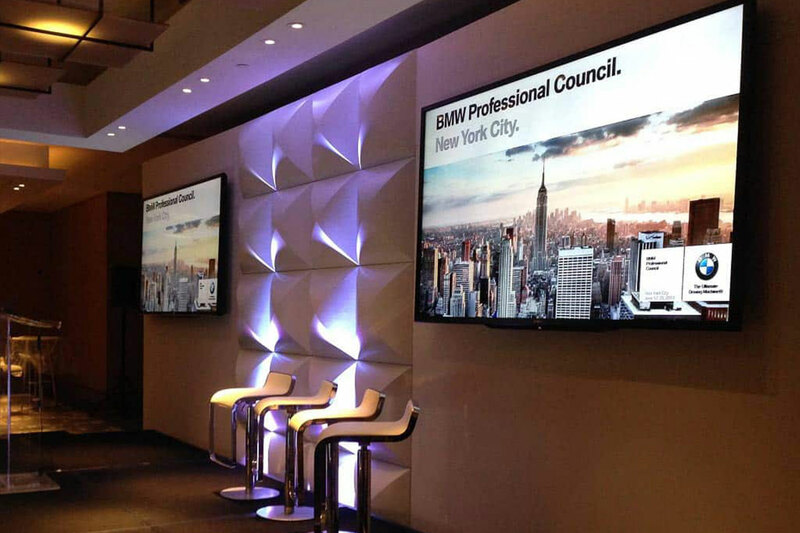 Televisions for rental can be either wall or floor mounted and can be rented for a full-day or multiple days for longer events. Our television rental fees include delivery, installation and pick-up and our audio-visual technicians will make sure everything is plugged in and working properly so that your content will be shown properly. If you need to hire specific cabling in addition to television hire, we will provide HDMI, VGA, DVI, USB, RCA cables and adaptors. Please call us for your television rental requirements. For further information, please contact our team and we will be in touch shortly.